Waiting for my flight to Chicago to be announced. I have had a lovely last week with the IIHM reunion still fresh in my memory. Such fond memories. It was a fantastic turnout…we probably broke the record of all these years by getting more than sixty to attend! And they came with spouses and kids so it was one large family. They came in from Canada, Australia, New Zealand, US and UK and I really feel the networking by Rajeev Matta and Sameer Puri has been worth every call, every number they had to track down. We had touching moments with Sandhya Singh, who lost her eighteen year old son in a plane crash last month. She made it for us and her love for her alma mater. We had the senior most person, our Principal Mr B K Khanna, who came inspite of being retired for many, many years now. He is nearly eighty years old. It was a shock to know that two of our batchmates and four faculty members are no more. The morning session went right on the clock thanks to the perfect organization. We had our introductions, the fecilitation of our faculty and staff, and then our batch gifted a state-of-the-art printer-fax to the Institute. 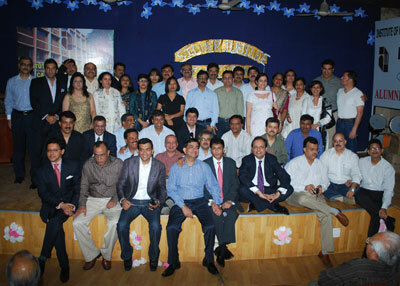 Anurag Duggal arranged for beautiful gifts for all the faculty members. We had lunch with a special cake shaped as numerals 1984. That was appreciated. We had fun going back to our erstwhile hostel rooms and classrooms. Nah, not much has changed. Nor have the batch mates. I will be putting up some of the photos of the morning session and later, when I have them, the lovely party pix of the evening. The evening party was a huge success at India Habitat Centre that is partly owned by batchmate Rohit Khattar. He went hand in hand with another batchmate Sandeep Tandon, CEO, to give the best of the best to us. The food and drinks were free flowing and didn’t we love it! When the clock struck twelve, I was given a huge surprise with a lovely Birthday Cake…so I collected all my friends who have April birthdays and six of us, including Nisha Kapur who’s birthday is April 9th, had a ‘mass’ cake cutting ceremony! 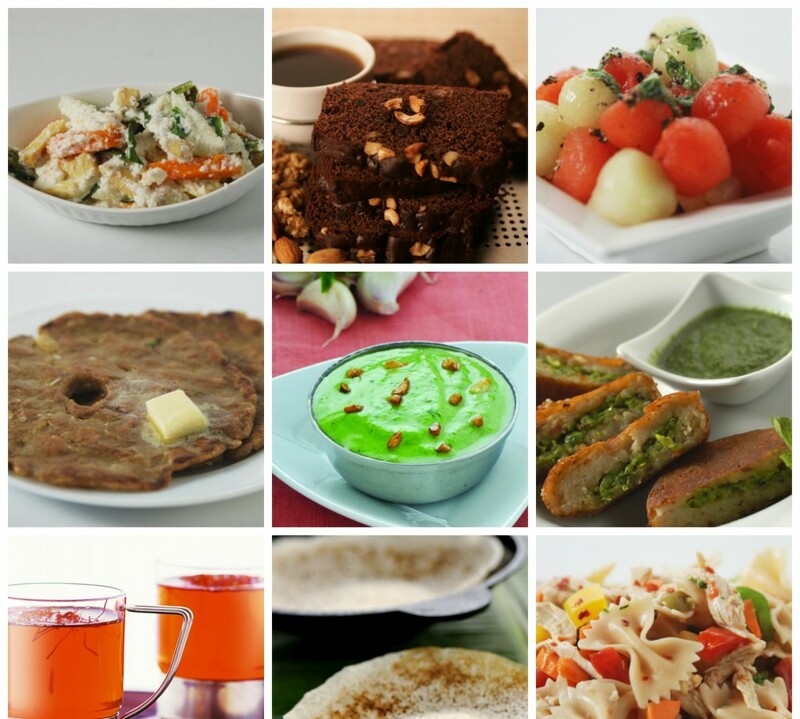 Chicago awaits with a session called Taste For Life organized by Apna Ghar Inc. Turned all of forty-five on Friday 10th and had a celebratory dinner party for family, a few close friends and associates at Jacranda Hall, India Habitat Center, Lodhi Road. Ninth was one big party at the same venue for the IIHM reunion and today, back to the same venue for a Franchisee Forum, an initiative taken by our COO – Rajeev Matta. The Yellow Chilli restaurants are doing well in Jalandhar, Ghaziabad, Ludhiana, Greater Noida, Noida, Panchkula, Pune, Hyderabad and Guwahati and we are going to address all the franchisee owners and formulate precise ways to move forward as a team. We will also review the year gone and Chef Harpal and Rajeev will present the plan for the coming year. Our marketing head Satyaki Mukherjee will make his presentation too. I have this vision of making The Yellow Chilli as a brand that is the ultimate one-stop tasting ground for authentic Indian food. Be it a foreigner travelling in India on holiday who wishes to taste and know Indian khana, or NRIs on a visit to their homeland craving for Indian cuisine, or even our locals who want absolutely top-of-the-line Indian food, The Yellow Chilli has to be the only name for them. The day lies ahead laced with a lot of hope. Just about to check out from a lovely hotel in Milan, after a hectic time in London researching restaurant sites. Milan holds a lot of promise for food and fashion lovers as there are signature stores of Gucci, Armani and Fendi to name a few. I was here to look at Super chef restaurant quality kitchen equipment for the home chef. Now off to New Delhi where nostalgia awaits me as April 9th is Reunion day in IIHM Pusa Delhi…25 years since I graduated and have worked on contacting many of my friends cajoling them to attend with spouses. I feel so good that finally we all be meeting after 25 years! I am glad that we all have been able to find time to dedicate one day of our hectic lives for sheer nostalgia. I know that we may not get such an opportunity again in the near future. Golden Jubilee thought is bit far fetched for me! Twenty five years is a long time. But it looks like just yesterday. Though I keep going to the Institute off and on, I am looking forward to meet everybody from our batch. So much has changed yet everything thing still feels familiar. Our batch was special. Many of us have remained in contact. I feel so touched and honoured that whenever I have needed anything from them, their support has been overwhelming. There are some of them who I was very close to during college days but somehow we lost touch over the years and drifted apart. But in the last two months, I have been able to contact many of them and I am looking forward to meeting them. Then there are some batch mates, who I hardly knew during college days yet today they are family friends. Sameer Puri and Rajeev Matta have been working hard interacting with the batch and moving things ahead. We are also inviting a few of our seniors. Mr. D. D. Sharma, Faculty, is doing the needful as far as inviting the faculty and staff of our time. We are also inviting 7-8 prominent members of PIHMAA (Alumni Association of Pusa Institute). Gifts/Mementoes for faculty and staff have been organized. I will travel from Italy and so will others from other parts of the country and world. My birthday on the following day will be in New Delhi this time. I was twenty when I passed out of Pusa and even as I write this a lot of flashback, in not-so-filmy style, is happening. I feel enriched because of my family, my wife and lovely kids. I am looking forward to a great deal of fun and comments on expanding bald pates and expanding paunches…this is what boys discuss at reunions for a fleeting minute and then it is food and laughter galore!